This Petface Luis Noodle Ladybug Dog Toy has multiple textures and noises to entertain your dog. 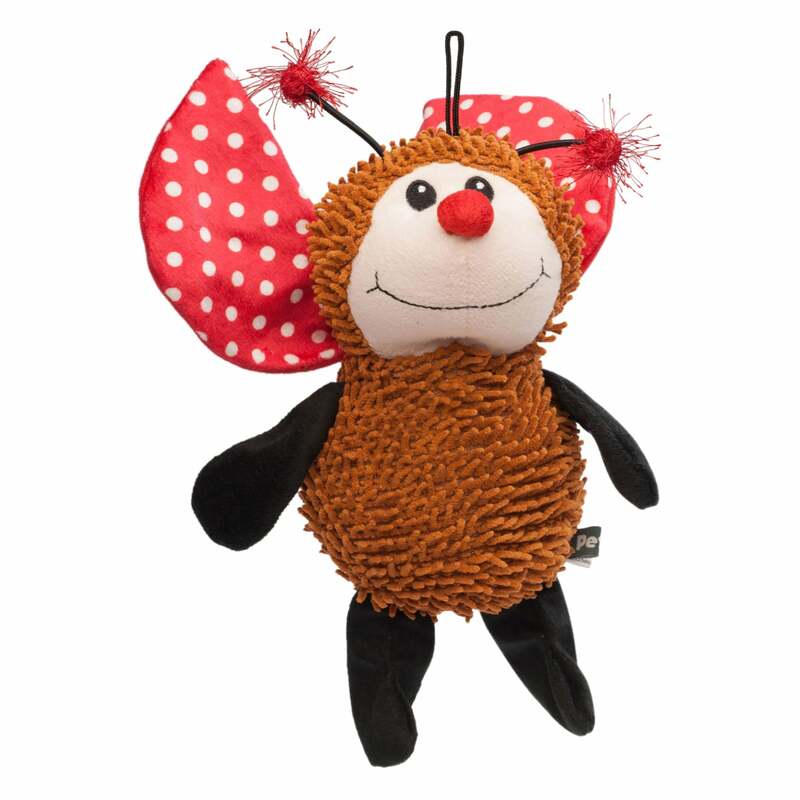 This cute toy features red and white polka dot noise generating wings (crinkle effect), a squeaker in the brown noodle body and soft black fleece limbs. At approximately 10 inches tall the Luis Noodle Toy is suitable for medium-large breeds for play, training or as a companion.